:) Another chilling along the balcony with the view of our nature beach away from town. During one fine weekend, after completed the charity movement with my mom and her friends, few of us went to Langkah Syabas Beach Resort for their homemade cheese to be exact. 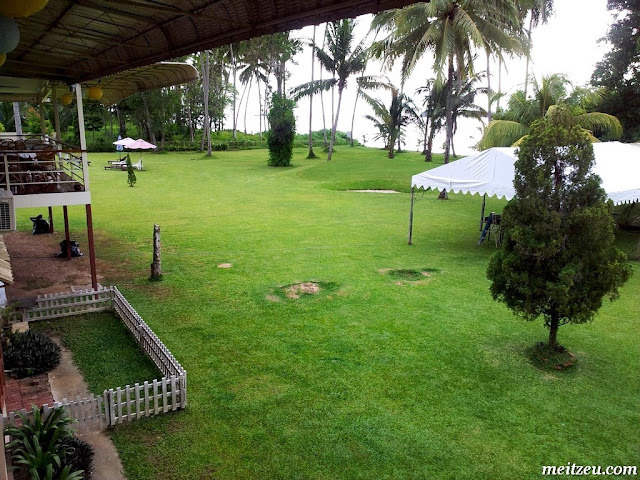 In fact, it is resort located at "Village by the Sea" (Kampung Kinarut Laut). Interesting village name and its true that the resort just next to the sea. Beautiful sunset view as well. So, we wanted to buy some cheese back home but in the end, we settled ourselves with a table for five. 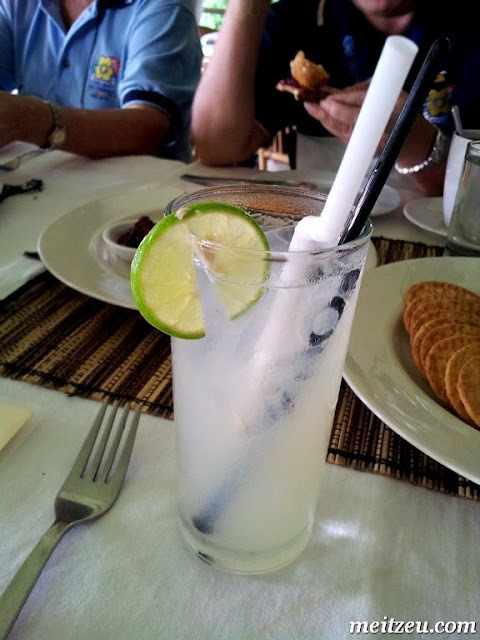 The cheese is one of their specialty of Langkah Syabas Beach Resort, they even sell it in town. Freshly made cheese even blinks my eye. We had fried cheese and the normal cheese with crackers and toast. Definitely I love the original one without being fried, runny cheese with toast, not really my favourite. 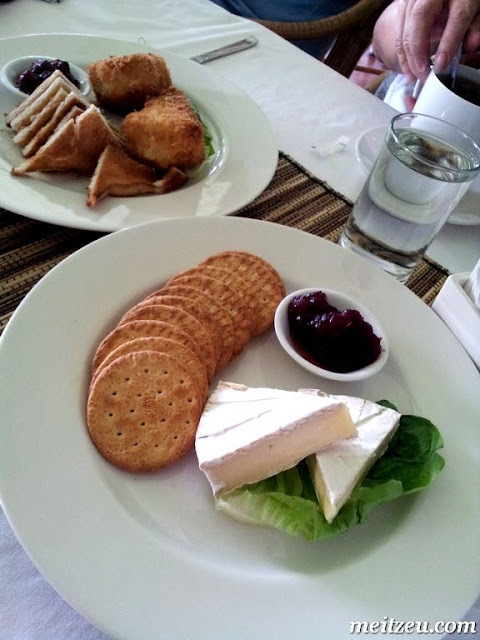 Somehow eating cheese and crackers just reminds me of what I had for breakfast while I was furthering my studies in Liverpool, UK back then. :) With blue cheese while video "msn-ing" with my family in Malaysia. We could feel the breezy air and by looking further, there will be the SEA! From their website, I read that they could plan for a garden party/ garden wedding. How lovely. :) Always love a cozy outdoor party. By the way, their food are certainly taste good, just worth to travel a bit from K.K. for a nice evening. Should plan going here for another short getaway. I spotted Trefoil Guild T-shirt. Hahaha.. I will try it with cheese next time! 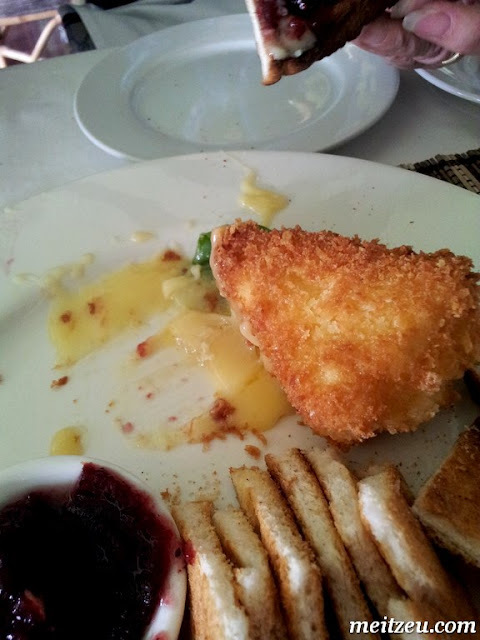 The first time I ate fried cheese was an Italian friend who served me a plate full of different types of cheese! it was so heavenly nice! Food aside, the place is actually very nice with fresh breeze from the sea.